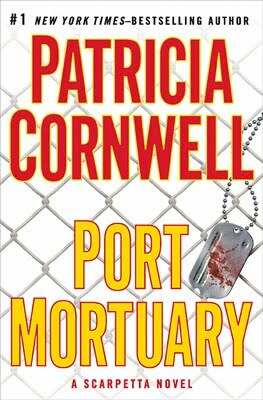 I have been reading Patricia Cornwell's Scarpetta books for several years now, and can generally count on them for a good diversion - interesting enough to keep me occupied for a week or so, but not so great that I need to rush out and buy a copy as soon as they are released. This one was no different. When it came out last November, I added my name to the (very) long hold list at the local library. Now when there is a waiting list for a book, you only get it for a week, no renewals allowed; and yet my turn didn't come up until the end of February. I had waited so long that I assumed my name had been taken off the list! And when the e-mail did arrive in my in-box, I was 4 provinces away, at the beginning of a week's holiday. So needless to say, I wasn't able to pick it up in the 3 days specified, and when I got home again, I put my name back at the bottom of the list. And finally this month, I got to read the book. The story was what I've come to expect from the series - some gory murders, scientific analysis of the evidence, and lots of red herrings. This book focused a lot on the relationship between Sarpetta and her husband, Benton, and I missed the presence of Lucy through much of the story. The writing was so-so. There were several glaring grammatical errors that made me cringe; and yet there was another scene that was so brilliantly written that I was drawn right in to the situation. So I probably will keep reading the books in this series as they are released, but they will remain as library books, rather than purchases. Wow, that is great information to know on this book. I used to read her stuff a lot, and haven't read one in a long time, probably because as a writer, I have a hard time reading stuff I might try my hand at writing. Do you do reviews if a writer asks you? And if so, what genre do you prefer to read/review?